Aqua North Carolina is a subsidiary of Aqua America, one of the largest publicly regulated water utilities, providing wastewater and water utility services to more than 3 million people in eight states. Aqua North Carolina serves 298,000 people in 51 counties throughout the state operating 750 water systems. Aqua North Carolina is also a North Carolina wastewater treatment company with 18,000 wastewater connections and 59 wastewater treatment plants. Aqua North Carolina’s mission is protecting and providing Earth’s most essential resource. According to the North Carolina State Water Infrastructure Authority, water and wastewater infrastructure needs across our state are estimated to range from $17 billion to $26 billion over the next twenty years. Each year, Aqua North Carolina invests $30 to $40 million across the state updating and replacing aging infrastructure. Aqua delivers quality water and wastewater services by hiring the best people and innovating and replacing aging infrastructure. As a NC water company, we deliver reliable quality water to North Carolina municipalities, meeting and exceeding all state and federal regulations. 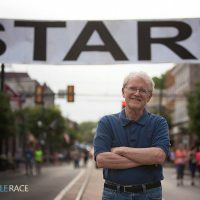 If you believe that water privatization can help your NC city or town, please fill out the form to the right of this page. Safe, delicious drinking water – Aqua North Carolina provides drinking water to each customer, routinely testing water to ensure that it is safe to drink. Infrastructure investments – Aqua North Carolina is constantly repairing and replacing old, outdated treatment plants, upgrading filter systems, water mains, pipeline rehabilitation, and well stations, enabling Aqua to provide reliable service and protect the environment and the public. Our NC water company has the technical expertise and experience to offer quality wastewater services consistent with public health standards and environmental quality standards. Quality wastewater – Aqua improves the quality of water distributed from NC wastewater treatment plants back into the water system. Proactive environmental approach – Aqua is constantly innovating to ensure its North Carolina wastewater treatment processes are respectful of the environment and will adhere to future North Carolina Department of Environmental Quality regulations. Safe for all animal life and the environment – Aqua disinfects wastewater to kill disease causing bacteria so that wastewater leaving Aqua’s plants is safe for all plant and animal life. Most Americans have utility services, including gas and electric, provided by a private company. Water and wastewater service, however is typically supplied by municipal or authority-owned systems. However, many municipalities struggle with balancing budgets that include a long list of priorities, from water and wastewater infrastructure needs to schools, police and fire departments, roadways and bridges. For municipalities or authorities interested in North Carolina water privatization and wastewater privatization, Aqua North Carolina can be a partner by integrating water or wastewater systems into Aqua’s existing operations. This gives the municipality an influx of cash to put toward other priorities and alleviates the burden of maintaining their own water and wastewater systems. In addition, under new law passed in 2018, fair market value (FMV) legislation in North Carolina allows companies like Aqua to pay a fair market amount for municipal water and wastewater systems. This benefits local governments, customers and the environment. Before the passage of this legislation, utilities were often limited to including only the original depreciated cost into their rate base, which became a regulatory barrier to a sale. Interested in talking to Aqua about NC water company privatization or North Carolina wastewater treatment options? Complete the form below. Aqua North Carolina’s sole focus, as a provider of private water and wastewater utilities, is simply water and wastewater. Aqua offers engineering, environmental, technical and financial support and compliance experts to ensure quality drinking water and reliable water and wastewater service. Aqua North Carolina invests in and schedules infrastructure upgrades before systems break, increasing reliability, water quality and customer satisfaction. But if something does happen, Aqua North Carolina responds with 24-hour emergency service, providing quality customer service. Aqua North Carolina water customers pay, on average, a penny per gallon for fresh, safe drinking water delivered directly to their taps. 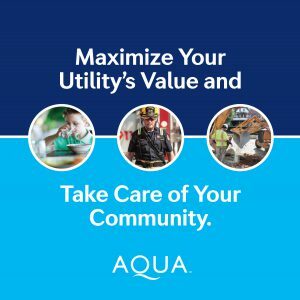 As a public utility, Aqua North Carolina’s water and wastewater rates are set and approved by the North Carolina Utilities Commission.